If you’ve ever noticed that, over time, some of your clothes don’t look or fit like they used to, it’s not your imagination. There’s substantial scientific evidence that supports the idea that drying clothes in a dryer does irreparable damage to them. Dryers are at fault for clothes that shrink, clothes that lose their color, and clothes that wear thin and tear. 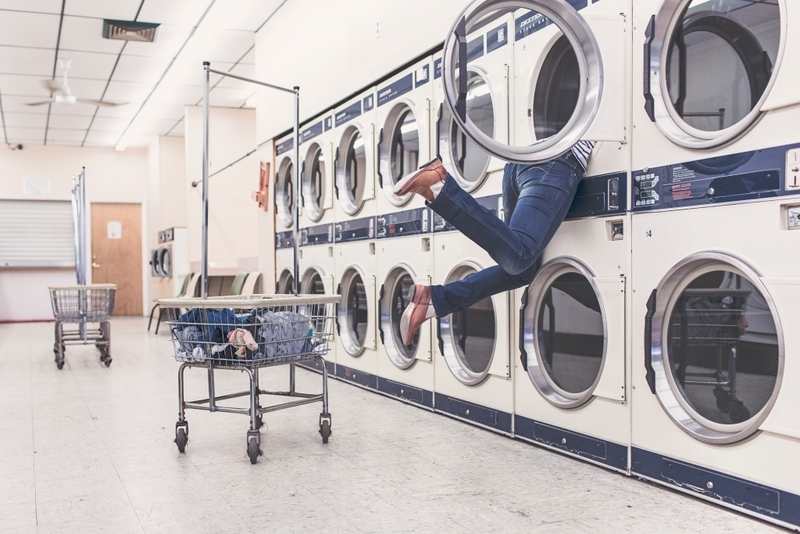 To get to the bottom of just how our dryers are damaging our clothes, we’ll take a look at the studies that have been done on the matter. However, it’s important to remember that if you notice anything wrong with your appliances that point to a possible malfunction, you’ll want to contact us so we can come out and take a look to perform washer or dryer repair if needed. Researchers have taken pieces of cotton/synthetic and cotton fibers, along with blended fabrics, and marked different areas on the pieces. Then, they measured the distances and angles between each mark that was made. Putting the pieces of fabric through various washes was done, followed by either a high-heat cycle, a low-heat cycle, or air drying. You can perhaps guess how each turned out. When washing or tumble-drying is concerned, temperature does not actually affect the amount of shrinkage of clothes as much as most people think. The hot water cycle for the washing machine shrank clothes just as much as the cold-water cycle. The low-heat tumble-dry cycle shrank fabric just as much as the high-heat dry cycle. What actually shrinks clothes most in a washer is the mechanical agitation. What actually shrinks clothes most in the dryer is the forced air. Tests on color were also performed; researchers found that most dyes don’t start to become compromised until around 340 degrees Fahrenheit, which is far hotter than any dryer should ever get. (If you have a dryer that ever gets this hot, you need to call us for repairs right away!) Therefore, dryers probably don’t cause colors to run. Although colors don’t fade from dryers, the fabric itself does undergo some “running” of its own. Microscopic damage occurs each time fabric is put in the dryer. Although the damage itself is hard to see on clothing, all you have to do is check the lint trap to see it. Lint is what results from tiny tears in the fabric of clothing; over time, these tears cause clothes to fall apart. How Do Dryers Contribute to Wear and Tear? Researchers used cotton towels and rinsed them in a washing machine; then, they dried them in a dryer on high heat (about 150 degrees Fahrenheit), and then without heat. They did this for 20 cycles, and reported the results: After only 20 cycles, the fabric had already lost 50% of its strength! So after only 20 washes and dry cycles, the fabric became twice as easy to tear. But what about dry cycles with no heat? The fabrics became 24% weaker after 20 cycles. To make matters worse, no matter what temperature is used for dry cycles, the tensile strength doesn’t level out over time; in other words, clothing damage doesn’t ever “slow down”, so each cycle pushes your clothes closer and closer to total ruin. What Can You Do to Help Avoid Premature Damage? Dryers save everyone valuable time and give a great deal of convenience to our daily chore schedules – but at a cost. While all dryers damage clothes, no matter the cycle, hot tumble-drying in particular takes a big toll on fabric. If you want to strike a balance between convenience and limiting the damage your clothes endure from the dryer, you should only use short dryer cycle times and low heat; the idea is to minimize mechanical action and exposing your clothing to the heat. For more information on the best dryers for your clothes, the latest energy-efficient models, and more tips on how you can maximize the life of your clothes (and your dryer), contact our experts today – we can help with everything from tips and suggestions to maintenance to repairs.